American artist Holly Herndon has built an extraordinary musical performance idiom in her live sets and records. She blends deep rhythms with ethereal vocals, interweaving electronic and processed and human sounds with unusual fluidity. Her vocal chords are beautifully present, as are her own custom-made Max patch sound designs. But she can also draw the computer’s electrical vocal chords, harnessing, Nikola Tesla-style, the unseen electro-static and mechanical life of her computer itself. This is not laptop music meant to make the computer invisible. This is laptop music that recognizes that our strange metal devices have become new instruments, machines that co-exist with us in the real world. She deals, too, with intimacy, memory, and feeling – all related to her use of process in studio and live performance. Holly has done various interviews, but Red Bull Music Academy gave her two solid hours on the mic in Tokyo recently, and the resulting talk sits nicely in focus between the gathered audience of practitioners and the larger public. It’s worth watching the entire lecture, but there are some topics worth highlighting. RBMA has bookmarked chapters, so you can skip – if pressed for time – to the juicy bits regarding laptop performance. There, Holly speaks eloquently about “giving my laptop a voice … making laptop performance embodied,” using induction mics. Live, Holly uses these mics with gentle, sweeping gestures toward her laptop – an inviting acknowledgement reminiscent of how Clara Rockmore and Leon Theremin drew audiences to their alien machinery at the dawn of electronic music. Somehow, when I last caught her, she managed to cope with the massive Function One tweeters at Berghain being pointed directly at her vocal mic – I don’t envy her that. So this isn’t making laptop performance any easier or safer, but she meets it with unwavering composure. She also goes into various recent collaborations, including working with Akihiko Taniguchi, her hitherto Skype collaborator, and her educational background and how it fed into her work. She’s yet another Mills College graduate – I keep crossing paths with them. They’re doing something right. Holly later went on to Stanford, which has been somewhere special as far as evolving the relationship of human and machine in music – one that’s optimistic and practical about laptops, not cynical. And she talks a whole lot about process – about chaining ideas through connections of patch cords (in Max) and plug-ins, and failing, and finding something that comes out of those failures. And she delves into the terrific debut Movement, to more recent efforts like Chorus. Holly’s success I think is well-deserved: she made something so striking that it carried itself as an idea, both in the release and performance. Sometimes, fresh ideas fall on deaf ears, but it’s encouraging when they do propel themselves – and it’s what we should all strive for. The YouTube commentary brings up the usual refrain about Holly’s work – she’s an academic who went to the dancefloor, blah blah. Now, at first I thought this fatigued me because I’m an academic myself. Having read it repeatedly over the last couple of years, I’ve had a different realization, one unrelated to my own bias. I think the constant obsession with that combination might miss the point of the last decades of electronic music. Underground clubs and weird academic laboratories have always been the two places where the most radical sonic ideas have been born. They are a natural fit, each of them separated just enough from the rest of society to allow oddness to thrive, protected from the withering sunlight of mainstream culture’s relentless demands for normality and revenue. And not surprisingly, clubs have begun to fill up with masters’ degrees and doctorates. So that’s not the paradox to watch with Holly’s work. Instead, it’s her ability to make the laptop speak with her voice. That’s where the real challenge lies. The music videos so nicely deal with closeness and embodiment (and disembodiment) that I’ll now be quiet and let you watch. 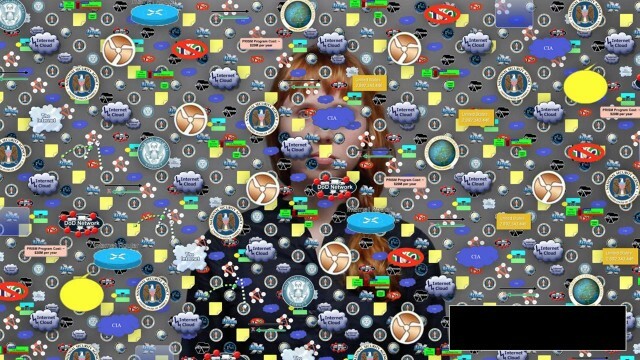 Holly Herndon – Movement from David Riley on Vimeo. How can we expect the diversity of the musical landscape to change when the archetypes we are presented with are intrinsically tied to an older, more segregated era? We need new fantasies, and until we demand them we are not going to get them.